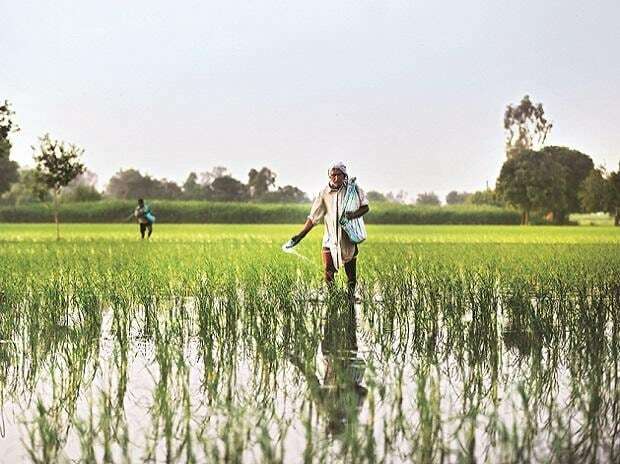 The government is planning to make the first payment under the Direct Income Support (DIS) for farmers, announced in the Interim Budget, before the model code of conduct sets in once the Lok Sabha election schedule is put in place. With the rural distress said to have been a major contributor for the BJP's defeat in the Assembly elections in three Hindi heartland states, the central government is banking on the DIS of Rs 6,000 per year to change the tide. The Agriculture Ministry has asked the states to share land records as soon as possible so that the first instalment of Rs 2,000 is paid before the first week of March. Going by past experiences, the code of conduct for the 2019 general elections is expected to be announced in the first week of March. According to informed sources, a senior Agriculture Ministry official has undertaken a tour of the some state capitals to expedite the procedure as a delay may leave out many farmers, making it difficult for the government to include them in the second instalment, mostly due in May, when the model code of conduct would be in force and the election would be at its peak. "In some states, land records are well-kept and updated. However, there are a few states where the database about farmers is not maintained properly. So the Ministry is approaching some states with urgency," said an official. "We want to be ready with the final list and start payments in the first week of March. If it is done before the elections are announced, we are sure there will not be any hurdle when the polls are underway." In the Interim Budget, the government announced a DIS of Rs 6,000 per year to 12.5 crore small and marginal farmers with land holding of up to 2 hectares under the Pradhan Mantri Kisan Samman Nidhi (PM-KISAN). The government will incur an annual expenditure of Rs 75,000 crore in 2019-20 while it has allocated Rs 20,000 crore in the revised estimates of the current year as the scheme will be effective from December 2018. The scheme is based on the lines of Telangana's Rythu Bandhu and Odhisha's KALIA (Krushak Assistance for Livelihood and Income Augmentation) programmes. Unlike the KALIA scheme, the Centre's PM-KISAN does not include landless farmers, sharecroppers and those indulging in allied activities such as fishery and animal husbandry. If farmers in Odisha get more assistance through PM-KISAN, then it is to be welcomed, said Prasanna Acharya, a Rajya Sabha member and head of Biju Janata Dal (BJD) farmers' wing. "However, tenant farmers, sharecroppers and those busy with animal husbandry and fishery are not a part of it. The KALIA scheme takes care of everyone, almost 92 per cent of farmers are covered. And the income support amount is also more, Rs 10,000 per year," he said. A senior Ministry official said the landless farmers could not be a part of the PM-KISAN scheme since the government did not have the required data.